I know lots of attention goes to the ooey-gooey desserts. You know, the desserts with lots of melted chocolate and caramel dripping down the side of a cake, then topped with nuts and whipped cream. 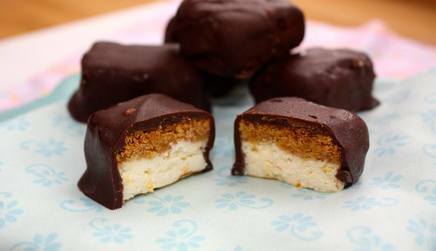 The presentation of those creations are AMAZING, and I like making those goodies, but when it comes down to sampling and tasting, I prefer simpler desserts, which is exactly what these Chocolate Covered Cheesecake Bites are.